eastern Ontario | Go Resorting! While the next season may still be several weeks away there are some great benefits to it. Bugs tend to be less active. Not sure about others but at my place, the deer flies were bigger and meaner than ever this summer and it seems their season is coming to an end. I think the hot, dry July also did it’s part to lower the mosquito population… I am happy to say I have only had 1 bite in over a week and I live in a very low-lying, swamping area. The beautiful colours on the trees. Our most northern resorts typically start seeing the colour changes around the middle of September, Algonquin usually starts changing the last week of September and with the Kawarthas and Eastern Ontario getting colour peaks into October. Wildlife viewing and hearing. Have you ever heard a moose during the rutting season? A loon call during a fall morning canoe ride? A wolf howling? Once labour day passes, resort country tends to be quieter allowing for opportunities to hear the natural surroundings. And as the leaves drop, the forest is more exposed allowing for more viewing opportunities. The smell. Fall has that unique smell (caused by decomposing leaves and plants,) but combined with the cooler air it provides a fresh scent. Fishing. With fewer people out on the lakes, that means less pressure on the fish meaning more opportunities to catch the big one. The less boat traffic also makes casting more enjoyable without the constant up and down motion. Hikes become even more enjoyable. It is a lot easier to hike in the fall when you aren’t drenched in sweat from the extremely hot humid days. Again because of fewer people traveling to get away, the trails are less busy providing more wildlife viewing possibilities. While the summer has been great, with lots of fun had; the fall season opens up new opportunities. With summer’s end unofficially only 4 weekends away it might be time to start planning your great fall escape. We are here to help; give us a call, visit our website or send us an email. There is a certain allure about the cottage experience that is an important part of most Ontarian’s lives. People either have a cottage, know someone with a cottage or rent a cottage, so they can find that little piece of tranquility that allows them to escape from the everyday hustle and bustle. Resorts of Ontario represents many different types of resorts from quaint country inns, to the large 1000 room resort villages and several of the resorts feature cottages as part of their offerings. This opens the door for everyone to have the traditional summer cottage experience that so many of us long for, while also being able to enjoy the amenities and activities offered by staying at a resort. It gives you the best of both words. Looking for a northern escape? 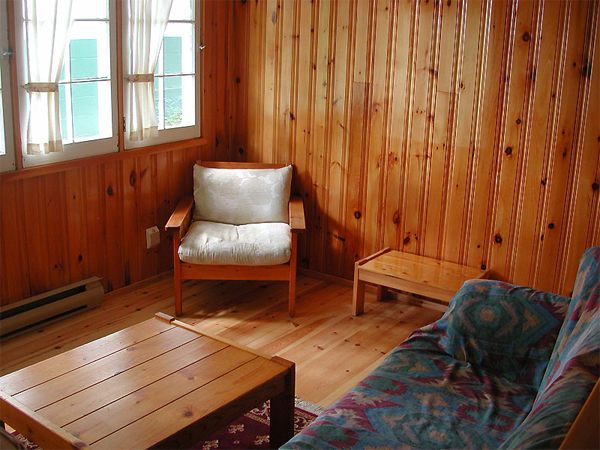 Consider a stay with Algonquin Log Cabin and Cottage Outpost. Located at the North West Corner of Algonquin Park, this resort gives travelers the option of experiencing Algonquin through “multi adventures perfect for families, couples and groups.” Take in one of their different excursions from guided hikes to moose photography workshops and you’ll be left with some lasting memories. 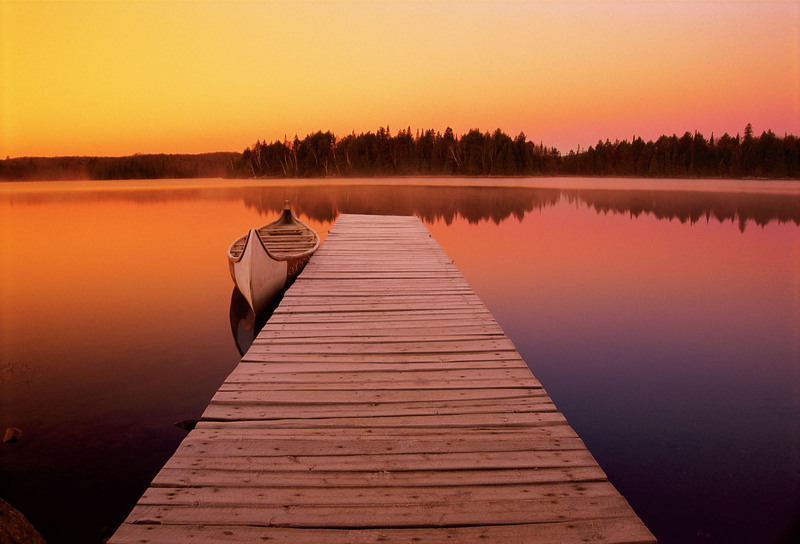 For those that just want a quiet escape it provides the perfect scenery to sit and watch the world around you, take out a canoe and paddle the lake or enjoy a hike through the different landscapes offered by Algonquin Park. 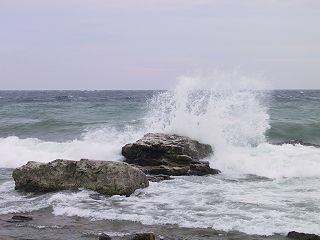 Georgian Bay is an excellent region for people looking for stunning landscapes of the Canadian Shield, countless fishing opportunities, and boating through the many islands or on the Trent Severn canal system. Hall’s Cottages could be the perfect base for you to experience the famed landscapes of Georgian Bay, which was inspiration for some Group of Seven artists. With bass, pike, walleye, muskie and more, Georgian Bay offers some of the best fresh water fishing in Ontario. Hall’s Cottages offers boat rentals for those looking to get out exploring the Bay or paddle out on one of their canoes, which are free for guests to use. If Eastern Ontario is where you are headed, then be sure to stay over at Birch Cliff Lodge near Bancroft. Open now for 76 years, Birch Cliff Lodge has more to offer then just its history. Located on Baptiste Lake, this resort offers stunning sunsets that make for a perfect backdrop on your relaxing vacation. With names for their cottages like “Restinup,” “Everest,” and “Dunworryn,” you can be sure this vacation will involve lots of R&R. Set amongst tall birch trees, you and yours can enjoy the clean sandy beaches, children can laugh and play at the playground, or take in the panoramic view of the York River Valley from “Eagles Nest,” located in nearby Bancroft – truly a breathtaking sight. 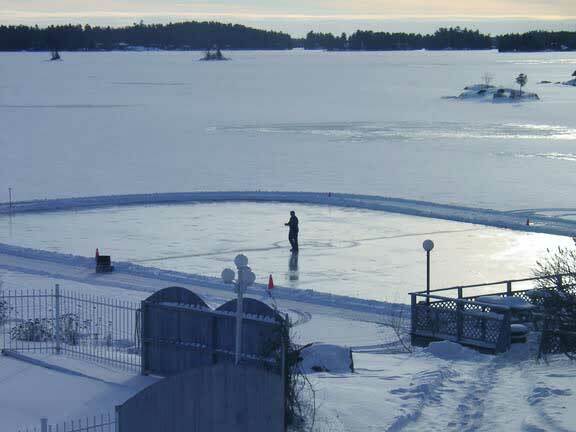 Located on the lower Bruce Peninsula is Wildwood Lodge Resort in Little Red Bay Ontario. This resort gives guests the opportunity to experience the sandy waters of Lake Huron, investigate the unique flora and fauna found in this region or explore some of the different caves found throughout the Niagara Escarpment. Offering some adventurous day trips, Wildwood Lodge Resort even presents the opportunity to scuba dive to a shipwreck. The cottage getaway is something everyone should experience and many make a tradition out of. For more information and a listing of different Cottage Resorts visit our website or phone 1-800-363-7227. We’ve got more New Year’s Eve ideas this week from Resorts of Ontario– dining and dancing at three beautiful country inns and lots of fun filled activities at two lakeside resorts. The Westover Inn is a limestone mansion in St. Marys, a town twenty minutes west of Stratford,Ontario. New Year’s Eve begins at 8pm here this year with a New World, Old World wine tasting and hors d’oeuvres party. That’s followed by a five course dinner that includes house specialities like the pork rib loin. Dinner and the wine-tasting reception are $85 per person. If you want to stay overnight, it’s $129 a person, double occupancy with dinner and reception included. Taxes and gratuities are extra. I’m taking this space to announce the Westover’s annual holiday bake sale. I first heard about it years ago. Lots of Christmas baking is sold and the prices are terrific considering everything is made from scratch. Cookies and tarts are $4.50 a dozen. Squares are $7 a dozen and homemade candy starts at $7.50 a pound. Advance orders are required. Call the inn for further details: 519-284-2977. If you’ve never been to St. Marys, go! It has several limestone buildings and lots of rolling hills which make it interesting. A massive trestle bridge that once had the Grand Trunk railway running across it is now part of the Grand Trunk recreational trail, and in the centre of town is a former quarry. The town bought it years ago and every summer it becomes Canada’s largest outdoor swimming pool. 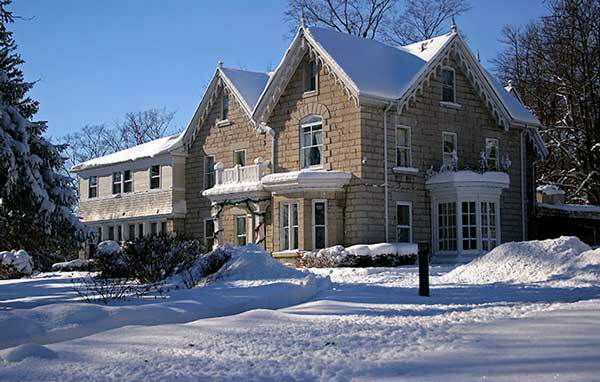 The Westover was built in 1867 as a private home then it served as a Jesuit seminary before becoming the Westover. I’ve brought food writers here for a meal and a couple of years ago, Glenn and I had dinner and stayed overnight. I remember playing hooky the next morning. It was a Monday and instead of heading to the office, we hung out in big terry robes, sipping hot coffee and reading the Globe and Mail. Fern Resort is on Lake Couchiching near Orillia, Ontario, two hours north of Toronto. Four generations of the same family have operated this resort since 1918 and when we visited last March, we found out they’re still using the resort’s original tagline: “the home of rolls and honey”. Jim Pettapiece, a successful Ottawa baker bought the property in 1918 to run as an inn. Jim’s bakeries were famous for their buns so, Jim made sure his new inn served them too, along with his favourite honey, Crerar’s from eastern Ontario. Ninety-one years later, both bun and honey are still served. On New Year’s Eve, all ages are welcome at Fern Fesort, even babes in arms. Check out the Fern website and a PDf on the site and you’ll see what I mean. It lists everything from a DJ-led kids dance to dogsledding to 2010 tea leaf readings. Some activities are free with accommodation. Others have a fee. 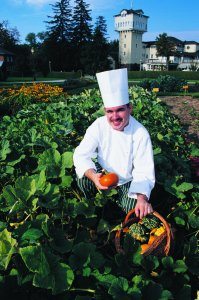 Flexible two and three-day packages include three meals daily and start at $360 per adult. Reduced children’s rates are available. If you’ve driven Highway 400 north of Toronto, you’ve likely passed the exit for Port Severn. This pretty community two hours northwest of Toronto is on the Trent Severn Waterway near Georgian Bay. Port Severn began as a lumber town in the mid 1800s. The Inn at Christie’s Mill stands on what was once a mill owned by the Christie family. 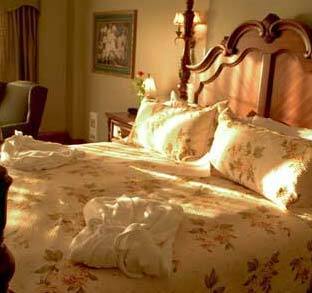 It has a nice spa, superb dining, and large suites with fireplaces. New Year’s Eve dinner will be a sumptious seven course affair with party hats, favours, and a glass of sparkling wine to ring in the New Year. A full breakfast is planned for New Year’s Day. The price for dinner, room and breakfast is $164.50 per person, double occupancy. Taxes and gratuities are extra. Viamede Resort & Spa is on Stoney Lake in the Kawarthas, two hours north east of Toronto. It has all you would expect from an Ontario resort in winter: pond skating, great cross- country skiing, snowtubing , tobogganing and wildlife viewing. A New Year’s Eve dinner and dance is $129 per couple. Add an overnight in one of the main lodge’s rooms for $285 a couple. Applicable taxes and service charges are extra. Stay two nights and the resort will throw in a $25 spa coupon that can be used towards a spa treatment of your choice. 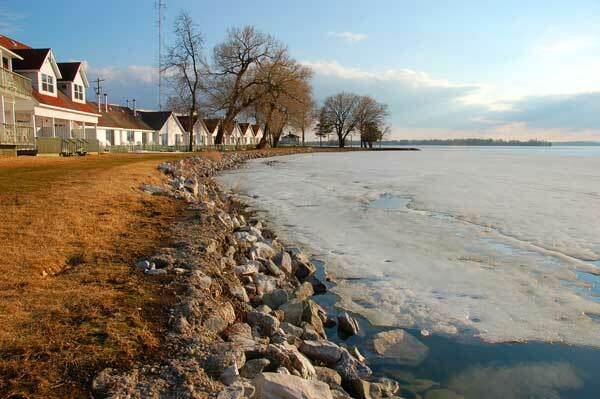 For couples traveling together or even a family of four, Viamede has cottages rentals. I looked into what a deluxe two bedroom would cost. These are equipped with a full kitchen, electric fireplace, and two baths, including a jacuzzi. A New Year’s Eve package in a deluxe two bedroom includes two nights’ accommodation, breakfast daily, the New Year’s dinner and dance, and a New Year’s Day brunch. It is priced at $770 a cottage. Gratuities and taxes are extra and a two night minimum is required. The Thousand Islands are in the St. Lawrence River which straddles the international border between Canada and the United States. On the south side of the St. Lawrence is New York State and on the north side is the Province of Ontario. Picturesque and close to New York City, Montreal and Toronto, the Thousand Islands have attracted travelers for over a century. 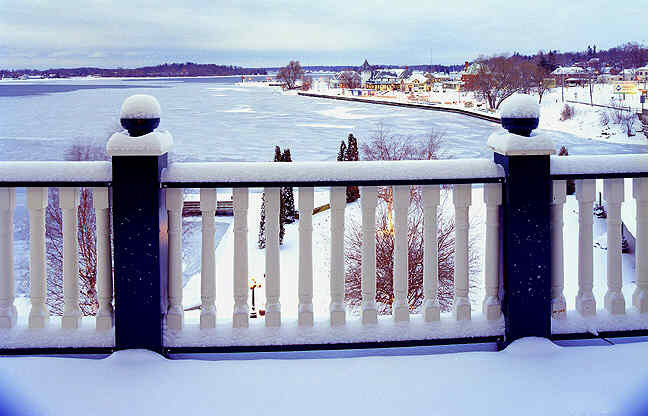 In the heart of the islands, you’ll find the resort town of Gananoque, Ontario, and the Gananoque Inn. The inn first opened in 1896. I stayed here with a BBC film crew and blogged about it. Muskie Jake’s, the inn pub, has a great atmosphere and while I haven’t eaten at Watermark, the inn’s fine dining restaurant, I hear it’s good and I know it has a fabulous river view. There’s also a nice spa. A one night New Year’s package here includes sparkling wine, chocolates, a four-course gourmet dinner at Watermark, breakfast, and a late check out. Rates are per couple and start at $275. Taxes and gratuities are extra. More New Year’s Eve ideas are found on last week’s post. You can also sign up to receive the Resorts of Ontario monthly newsletter. It always has good mid week and weekend deals too. Have a safe holiday and Happy New Year everyone! With Winter 2009-10 fast approaching we thought it might be fun to check out some of the ski deals that Resorts of Ontario will be offering this year. The resorts included in this post either have their own ski hills or they are offering a ski deal with lift tickets included. However, there are plenty more out there with great winter deals that are close to Ontario’s downhill ski centres. For a complete list of these, check here. Blue Mountain, Ontario’s best known ski destination, gets a lot of newbies wanting to try skiing or snowboarding so it developed a Discover Ski & Snowboard program. Since the program began, hundreds of couples, groups of friends and families have learned to ski and snowboard at the resort. This year, Blue Mountain Inn has a new Stay & Learn to Ski package to go along with its Discover Ski & Snowboard Program. The package includes one night of accommodation, a beginner lift ticket, equipment rental and lesson, a breakfast and a Pottery Restaurant dinner and is priced per person, double occupancy. Village Suites has a similar package with breakfast as a buy in option. If you decide to book either deal, drop by Jozo’s in Blue Mountain Inn for some great apres ski. When we visited Blue Mountain earlier this year, we heard it’s where all the locals hang out after a day on the hill. Similar getaways are offered at other Blue Mountain accommodations. For the best rates, reserve online or call one of the resort’s leisure and travel representatives at 705-445-0231 or 877-445-0231. Looking to combine romance and skiing? Sir Sam’s is the perfect find. This romantic Haliburton-area inn not only has its own ski hill, its WaterSpa is spectacular and the inn’s dining and wine list are both superb. Its ski hill has lots of gentle runs and a welcoming atmosphere for newbie skiers. This winter, Sir Sam’s has a two-night “Learn to Ski” package that includes accommodation, dinner and breakfast each day, plus a day on the hills with full equipment, lift ticket and lesson. Save $55 and go mid week when this getaway is priced from $670 per couple. Eastern Ontario’s Calabogie Peaks and Dickson Manor have developed a fun package for couples looking for a brief escape from the holiday crazies. Running from December 20-23, the package includes an overnight in one of the manor’s deluxe rooms, dinner for two in its Canthooks Fine Dining Restaurant, 20% off of ski or snowboard lift tickets and complimentary ice skating, snowshoeing and cross country skiing. It’s priced at $199 per couple. Dickson Manor also has an outdoor hot tub, indoor pool and fitness centre. Hidden Valley Resort is just outside of Huntsville, Ontario. Considered to be a good value ski hill with no line ups, Hidden Valley has its own luxurious hillside resort and restaurant. Ski & Stay packages here start as low as $85 per person, per night, double occupancy. Learn to Ski/Skateboard are two night packages starting at $215 per night, double occupancy. A variety of ski lift tickets are also offered to guests at a discounted rate. Close to Horseshoe Resort, you’ll find Carriage Ridge. This family-oriented resort has partnered with two area ski hills this winter; Horseshoe Resort and Mount St. Louis Moonstone. Its open-concept condo suites are suitable for couples, small families or groups of friends. The suites include kitchen facilities, a king side bed, queen sofa-sleeper, balcony and living area. One or two bedroom suites with full kitchens, fireplaces and jacuzzi tubs are available for larger groups. There’s also an indoor pool, kids pool, hot tub and games room. A “Ski-Xtreme getaway” is one of several offered this winter. It includes a one night stay in one of the oversized condo suites, a lift pass for Mount St. Louis Moonstone or Horseshoe Resort, lunch voucher and skiers welcome gift. Packages start at $89 per person, double occupancy and kids stay free. Hockley Valley Resort is another ski resort close to Toronto. We wrote a bit about it in last week’s post. It has a bunch of great ski packages listed on its web site starting at $229 double occupancy but we liked its Winter Bliss package. It includes one night’s accommodation, lift ticket for skiing or snowboarding, full buffet hot and cold breakfast, three-course dinner for two and a $75 spa credit per person for Hockley’s hillside spa. Priced from $463, double occupancy. For more resort packages, sign up for the Resorts of Ontario newsletter.